Earlier this year, Apple entered into an agreement with IBM targeted at enterprise customers, and on Wednesday, the partnership showed the first signs of life when Apple posted a page on its website describing its “AppleCare for Enterprise” program. 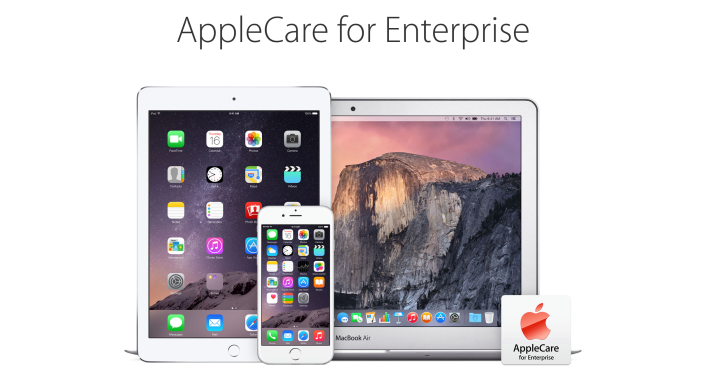 AppleCare for Enterprise looks like a good safety net for organizations deploying [company]Apple[/company] products: In addition to round-the-clock phone support, each company subscribing to AppleCare for Enterprise will get a “personal liaison” to handle its account, who can respond to urgent issues within an hour. Businesses can sign up for onsite hardware service for either two or three years provided by IBM Global Technology Services. Customers can also get free replacements for “up to 10 percent” of covered iOS devices — so if one out of 10 of your employees has fumble fingers and cracks their screen, businesses can get those iPhones and iPads replaced without additional cost. There isn’t public pricing available — that’s the kind of thing your IT manager needs to discuss with an Apple or [company]IBM[/company] sales representative. Since the initial announcement, there hasn’t been any other public news about the partnership, but IBM is working on business-focused iOS apps, called “IBM MobileFirst,” which should be announced before the end of the year.